Autonomy has been heralded as the future of the ridesharing model, but Volkswagenis offering a different (but no less high-tech) solution. 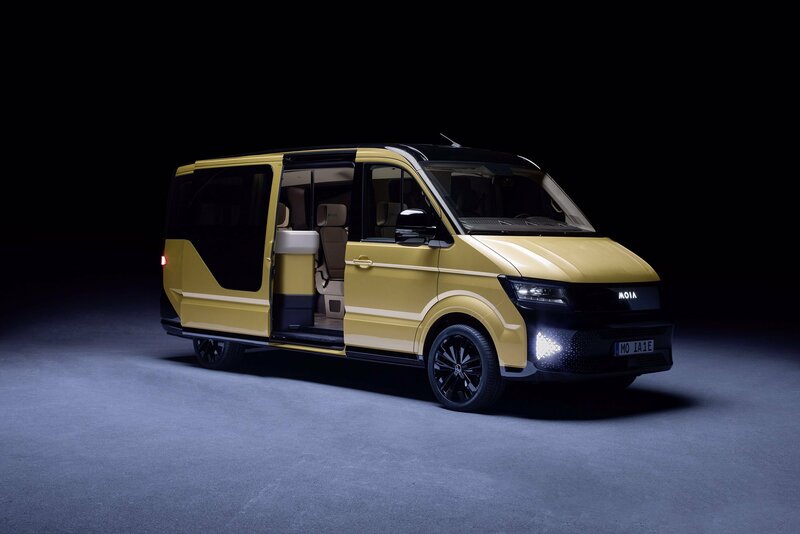 While these new VW buses can’t drive themselves, they’re unique in their own way — you see, Volkswagen’s MOIA division (which focuses on urban mobility) has just unveiled a brand new all-electric car that can transport up to six people from Point A to Point B. Slated to make its debut in Hamburg, Germany next year, this new six-seater comes with built-in onboard Wi-Fi, USB ports, dimmable interior lighting, and luggage storage next to the driver rather than in the trunk to provide optimal leg and passenger room for folks in the back. Meant for folks who will be either carpooling or ridesharing, the new vehicle boasts a range of around 186 miles on a single charge, and requires just 30 minutes to reach 80 percent of its battery capacity. It’s taken MOIA just 10 months to design and build the car thus far, and the company attributes this success to the “agile design processes at Volkswagen’s Onsnabrück plant.” It also reflects the pressure on the auto industry to adapt quickly to an increasingly dynamic landscape, where customer needs and expectations are ever evolving. 200 of the all-electric vans are expected to hit Hamburg’s streets in the second half of 2018, and the hope is that MOIA will soon be able to roll out its electric vehicles (along with its companion ride-hailing app) internationally. Ole Harms, chief executive of the MOIA division, said on Monday at the TechCrunch Disrupt conference in Berlin that he expects MOIA services to replace one million cars across Europe and the U.S. by 2025.